Many of you may have noticed that The Order of the Key…well, it isn’t out yet. There are many reasons for that, some of which I take the blame for and some of which involved circumstances beyond my control. All of which lead me to today’s announcement. As of yesterday, I have ended my contract and my working relationship with Fantasy Works Publishing. It’s a very long story, as all of the really good ones are. But at the end of the day, FWP and I disagreed about the direction of my series and in the end, I had to stick by my vision for the art. That is not to say I don’t owe FWP and its staff and authors a huge debt, or that we end on bad terms. I have a tremendous amount of respect for the owner, the staff and the authors, and I will always be here helping to promote them. The books they produce are great books and my book is much better for knowing them. However, as Vince Lombardi said, “The greatest accomplishment is not in never falling, but in rising again after you fall.” So, I’m rising. In the coming month, I will be tidying up the latest version of Order and putting it out there again. I’m excited about the road ahead. I hope to have good news for you all soon. Thanks as always for standing by me in this journey. Onto the next open door. It’s funny. I do these author spotlights every now and then, and while the writers involved are often my friends, I have never done something like this for a person I know better than I know myself, about a book I read in its nascent stages, a story I’d heard about for years in various possible incarnations before it became what it is today. But here I am. My author spotlight today is for my husband, Ismael Manzano, and his novel, Soulless. Now, below you will find a whole lot of press release type information, and I want you to read it and enjoy it, because it’s good stuff. But before I even get to that, I want to tell you the truth about this book. I love this book. And not just because it’s my husband’s book. The story is imaginative, and I connected with the characters immediately, particularly the main character, Charlotte. Learning about this world through her eyes has been an exhilarating experience. But more importantly, I love the writing, the way he weaves words together and takes you on a ride with them. I speak a lot about writing on this blog, but I rarely point out this fact – I am only a writer because I was inspired by Ismael. He not only told me I could, but he challenged me, and he showed me what dedication to the craft looked like, and without him I’d probably still be auditioning for acting jobs with my own stories dancing in my head. I got very lucky. I got to marry my favorite author. And I’m so very pleased to help create some of the fanfare surrounding this book. So, without further ado, here’s a little about Ismael, and a little about Soulless. The devil’s not the only one buying souls; both sides need bodies to fight their war, and both have something to offer in return. Nearly anything is possible, if you are the type of soul they’re looking for. Charlotte Furio learns this the hard way, when a spirited and mysterious woman named Trisha follows her home one night and gives her ailing father a simple choice: a healthy body for his immortal soul. His decision introduces Charlotte to the world of soul brokering, and Charlotte is not only drawn to it, but finds she has a knack for it. Having lived the last decade of her life with only one purpose—to care for her increasingly disabled father—Charlotte sees this as her chance to give direction and meaning to her own life, and the lives of other people. To help them as Trisha had helped her father. This mission is quickly derailed when Charlotte is framed for the murder of one of the brokers’ leaders. Where she once had only one purpose, now Charlotte has two: get her father’s soul back and find a way to prove her innocence before it’s too late. I walked around the car so I could jump into the passenger’s seat, waited for the crowd to thin and calmly—barely holding onto my senses—asked for the knapsack. It weighed nothing, but when I opened it, I found a parchment resting peacefully and eagerly inside of it. The full moon was out, and the sky was cloudless and unobtrusive, so when the pale, silvery light touched the papyrus, it was not reflected but enhanced. Trisha started the engine, and put the convertible’s top up to block the moonlight, then adjusted her mirror. Her face glowed nearly as bright as the papyrus. The windows were tinted so I felt safe removing the parchment completely from the bag. The second my hand touched it, I felt a rush of something inexplicable, like a jolt of pleasurable lightning traipsing through my nerves and extending outward to the world at large. At first, I thought Trisha had pulled out a taser gun and had shocked me, but nothing hurt. I closed my eyes and allowed myself to enjoy the strangeness of the sensation. Shivers passed through me randomly, tingles that lit my skin. Without knowing how, I knew those shivers were my body’s reaction to people passing alongside the car. It was as if I was connected to the air through which they moved. I heard the wind pushing through the desiccated leaves still clinging to their branches, and it sounded like water rushing around a brook. The smells of the city, even through the confinement of the car, assailed my nostrils as if someone had bottled it up and threw it—concentrated—into my lap. Ismael Manzano was born and raised in New York City, and has lived his entire life in the Bronx, first with his parents, and then with his lovely and talented wife, Justine, and now with their kinetic maelstrom of a child, Logan. Ismael is an avid reader of fantasy books, and knew at an early age that he wanted to be a writer. He worked his entire life to hone his craft to achieve the goal of removing the prefix, ‘aspiring,’ from his title, and referring to himself as a writer. He has written many reviews and social commentaries for the web magazine, G-pop.net. Recently, Ismael has found success publishing his short stories, Playing in Shadows, at This Dark Matter and Cold, published in July 2015, at Grey Matter. In 2015, Fantasy Works Publishing signed his Urban Fantasy series, Soul Broker. Ismael loves watching historical documentaries and listening to audio lectures about Medieval England, Ancient Rome, and Egypt. He considers himself an amateur historian, and has never met a BBC historical drama he didn’t like. One of his favorite things to do is to watch shows like the Tudors and movies like Elizabeth, and try to pick out the discrepancies between fact and fiction. He also hopes to one day solve a Rubix Cube puzzle, but that dream, sadly, seems to be the greatest fantasy of them all. I know I’m a bit late, but I hope all of my American friends had a wonderful Thanksgiving. I figured I’d write a little something about the things I’m thankful for this year. It’s been such a strange year. Sad in some places, but incredibly happy in others. We lost my Grandmother this year, in April. But I’m thankful because I spent 32 years of my life with her in it. She was an incredibly strong woman, and she was very funny, and she is the matriarch of the Minners (my maiden name) family. She had three sons, two daughters, and a collection of zany grandchildren, great grandchildren, and in-laws from all over that map that she was very, very proud of. I am thankful for the way our family bands together in times of sadness and I am thankful for a re-established relationship with some of my cousins, who I’d spoken to on Facebook, but I hadn’t spoken to in real life in years. I’m thankful for the way two cousins who live across the country from each other can discover all kinds of similarities and form a unique and close bond. I am thankful for positive family connections of all kinds. I am thankful for new traditions and extra time spent with my parents and my in-laws. I’ve loved getting to know each of you better and better. I am thankful for blood siblings, siblings through marriage, adopted siblings, all of whom are my best friends. I couldn’t get by without them. Melissa, Jon, Megan, Dorothy, Kristy, Julian, Joy, Allegra, Fruhmann, Frank, Jennine, Anthony, and Marissa. I am thankful for nieces and nephews, both real and adopted – Genaro, Kaitlyn, and Angelica – every accomplishment is a joy to watch, even when it must sometimes be from afar. I am thankful for the ability to move away from toxicity in my life, and for the opportunity to find myself and pull myself free from many of the doubts and fears holding me back in life. I am thankful for the career success that Ismael, Megan, and I have all enjoyed in 2015. I am thankful for the Fantasy Works Publishing team, who are working so hard to give birth to my first novel, Ismael’s first novel, and a host of others. I am so grateful to be a part of this team and to count them as my friends. I am thankful for the FWP writers as well. I can’t wait to help them all share their stories with the world. To my day job and all of my bosses and friends there, who make my day-to-day bearable. I’m thankful for an amazing set of really great friends. I have been very lucky. I am thankful for good food, a roof over my head, for good jobs, for a good life. And, most of all, obviously, I am thankful for my guys, Ismael and Logan, who deal with my general insanity on a regular basis and love me despite it. They keep me in check and remind me regularly why I do all of this, and what kind of person I want to be. Seriously, the best husband and child I could ever ask for – perfect for me in every way. And I am thankful daily for all of you. Everyone who reads my blog, all of the writing contacts I have made, and for the great online friends I have made in this way. Thank you all for being incredible. I hope you had a wonderful day, and I hope you have a great holiday season. Hey all! I’ve been a little absent from blog posts this month, and here’s why! 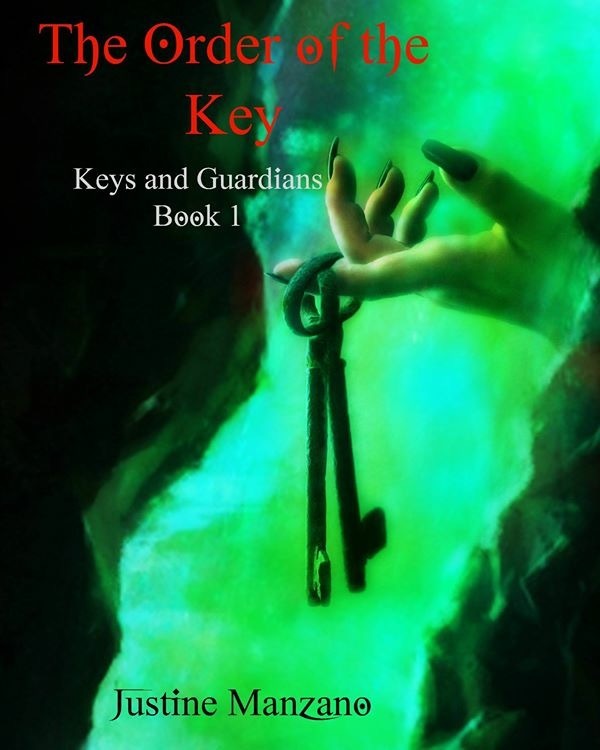 I’ve been participating in NaNoWriMo, where I am working on Book 2 of the Keys and Guardians series, The Lost Key! To learn more about NaNo, keep reading. I’ll be back to a more regular posting schedule in December. As I am writing this blog, it is November 23rd and I have written 35,645 words toward my NaNoWriMo goal of 50,000 words in a month. In case you don’t know, National Novel Writing Month, or NaNoWriMo is an event in which every November, people try their damnedest to write a novel in 30 days. Every year, over 300,000 participants sign up. It’s not easy, but it is possible. At my current word count, I am just a little behind, but still keeping a good pace to finish the 50,000 in time. But many people don’t like the idea of NaNoWriMo. There are reasons for and against, but today I’m here to discuss what I consider to be misconceptions about the event. The rush for a word count wins out over creatively good books. Here’s the thing. A ton of the people who join up for Nano have never written a book before in their lives, and they are certainly not writers. For them, this is a fun mission, a chance to try something they’ve never tried before. Maybe some of these people will find out they’re writers. Maybe some of them will write one sentence over and over again, and it will be about cheese. This won’t harm anyone, unless Madame Gouda decides to publish her magnum opus on the wondrous dairy product. For writers, however, Nano is capable of teaching us another lesson. How to create a habit. It won’t make us any more or less creative. If we’re practicing writers, the hope is that we already have that tool, and if we don’t there may be no saving us. What it does teach, instead, is to write a certain amount every day, consistently. It teaches to shut down the voice in our heads that tells us to stop. We can’t slow down because something in the back of our minds says this idea might be stupid. We have to push through it because we have a word count. We’ll fix it later. And it teaches us to think outside of the box to make our plot, even the less well thought out parts, work. NaNoWriMo creates terrible books. Maybe. NaNoWriMo probably creates terrible first drafts for some. But first drafts are not and never have been books. And if you think your first draft is publishable…I probably don’t want to read it. The Order of the Key is coming out in early 2016. I don’t even know how many drafts I did of The Order of the Key. I literally lost count. I know it’s more than five. More than five. And that was before my editor even got it. So, yes, if you’re handing in your first draft, it’s probably terrible…but you don’t get a seventh draft unless you’ve gotten a first draft down. Nano is good for that. 50,000 words is barely a book, so you don’t write a novel in a month. Well, for one thing, 50,000 words can make one hell of a first draft. Last year, one of my best friends, Louis Santiago, wrote an amazing novel in 50,000 words. Did it need development and a little expansion? Sure. But it was a damn good start. But most people will take a little more than 50,000 words to write a full novel. It may take you another month to finish the other 30,000 words that might be in your novel. It might take you another year or two of editing. That’s okay. The point is to motivate you to create, not to motivate you to create a document ready to be sent to the printer for publication. You’ll get there. But nobody should expect it to be this month. Nobody is buying as many books as are made regularly, so there’s no place for your stupid book idea. I read this article back in 2010 when it was published. It is still circulating, and it still pisses me off. This is a stupid article. Why? Because it determines that there is a finite amount of creativity allowed in the world, and if you discover some long hidden talent, then you’re wasting the space of so-called REAL artists who already knew about their talent. You’re knocking true writers off the bookshelves. WRONG. NO WAY. There will always be plenty of space out there for you and other people to write books. Your book will be unique. And even if it’s not – even if you’re book is literally Twilight with witches and mermaids instead of vampires and werewolves, what difference does it make?Creation can be for others to observe, or it can be for the creator. We are allowed to tap into our creativity in whatever way we choose. So, if you want to write a novel during NaNoWriMo, write one. If you don’t, don’t. But definitely don’t let yourself become swayed by these misconceptions. Now…maybe I should go back to writing my novel. Until next time!